Do we parents consider ourselves leaders at home? At work, we work to develop as leaders. In the church, we take leadership roles. When our children’s schools need a room mom or a team needs a parent to help coach, we step up. But do we think about growing in our leadership ability at home? 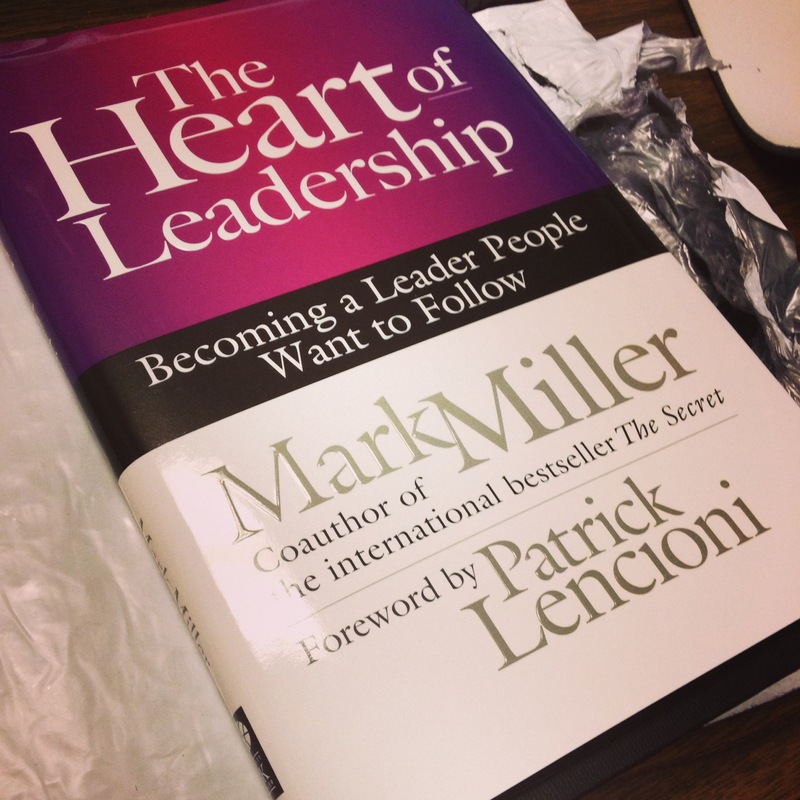 I recently read an advanced copy of Mark Miller’s The Heart of Leadership and intentionally reviewed it with one eye as a growing leader in the marketplace and another as a dad. Miller writes about Blake Brown, a husband, young father, and businessman. We follow Blake’s story as he tries to understand why he was passed over for a promotion. He simply didn’t have those intangibles that make leaders different. I’m growing to love leadership and business content delivered via story. There’s something about contextualizing well-thought-out and proven leadership theory in a story that makes it more memorable and easier to apply. I read the book a couple weeks ago and was able to recite Miller’s five key elements of leadership character to my wife while we cooked dinner tonight. Leadership requires similar character, regardless of context. I love books with transferable concepts. The Heart of Leadership indicates throughout that the leadership lessons aren’t just for business. They are for the home. After all, what good would leadership character be if it weren’t grounded in a commitment to family. The first leadership nugget that Blake learns is to ‘Think Others First’. Since reading this, I’ve had more than a few opportunities to stay a little later at work to get just a few more items checked off my task list. But this lesson to think about others first reminded me to not just get up from my desk and get on the road home, but also to leave the email open on my computer so I can’t easily get it on my phone. Thinking others first means being present. And when I’m home, that means being with my wife and kids. Finally, key concepts in the book challenge my understanding of what true leadership is. While I know leadership is not about position and not about power, I’ve not really been able to put a finger on why some people – parents, corporate leaders, pastors, nonprofit executives – seem to just ‘have it’. The book revealed where I’m growing in leadership character and where I need to shore things up a bit. And much of this is around not checking my leadership development at the door when I get home. As a dad, I’m a leader. I can’t forget that or take it lightly. Honestly, people at my office might or might not care if I lead. If I don’t, then someone else will. But at home? I’m the only dad to Jake, Sam, and Maggie. And I’m the only husband to Tina. Miller’s book has given me some guidance in identifying where I can grow stronger as a leader at home. Where better to think others first? Or to expect the best? Or to make the hard decisions? What are some leadership characteristics of a leader you admire? Why do some leaders stand out while others just seem to hold a position? To read Mark Miller’s blog (great, by the way), and to get a free chapter of the book, please go to greatleadersserve.org.